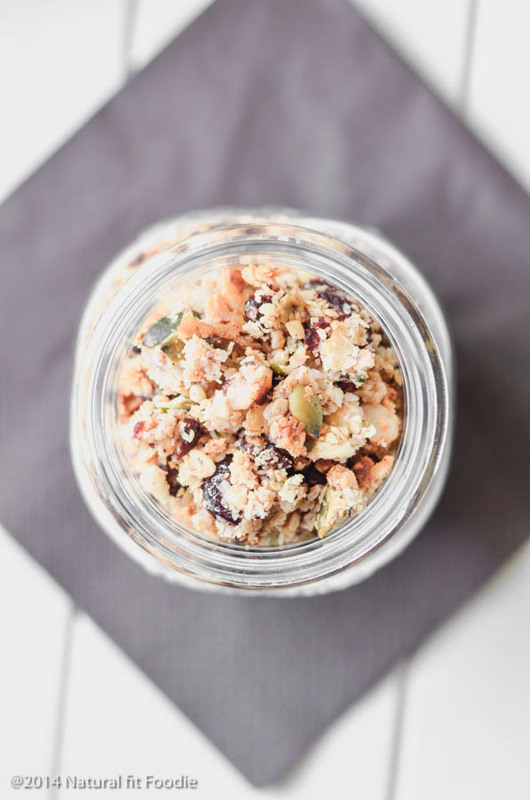 This cranberry coconut granola makes the perfect healthy on the go breakfast or snack. My hubby isn’t much of a breakfast person. He has one espresso sometimes two but that’s about all he consumes until lunch. I really don’t know how he does it. In my quest to healthify the whole family I’ve been trying to get him to eat breakfast. He finally gave in and bought a box of muesli so occasionally he has a small bowl of muesli with greek yogurt. One day, out of the blue I decided to examine the ingredients of said muesli. Needless to say I was not impressed. I decided to make him granola. Since then, I’ve been making granola on and off for years and the recipe is never the same. That’s because granola is one of the easiest things to make and all you need is 3 basic ingredients; rolled oats, nuts and honey. The granola I make on any given day is dependant on what variety of nuts I have in my pantry. 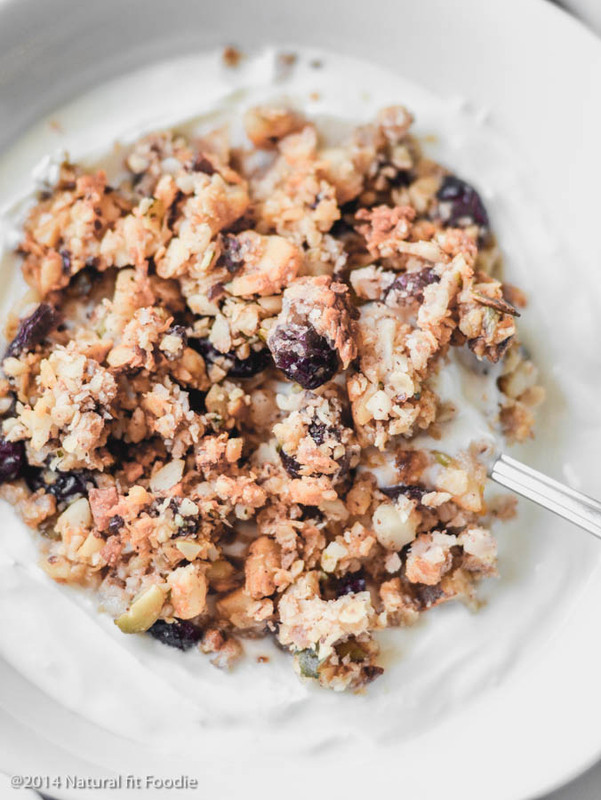 For example this granola recipe I’m sharing with you today does not contain any almonds. I normally always put almonds in my granola but yesterday I used up all the almonds I had to make almond butter. My point is there is no wrong way to make granola. Combine your favourite nuts and seeds with a bit of honey and coconut oil and presto, delicious granola. 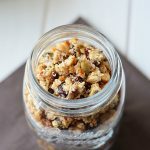 This recipe includes my favourite dried fruit; cranberries and unsweetened coconut flakes. I absolutely adore greek yogurt with fruit and granola layered on top. Whenever we travel and I’m not sure what breakfast options there will be available I pack a bottle of this granola. Greek yogurt and fruit are easy to come by so I’m all set. Have you ever made granola? 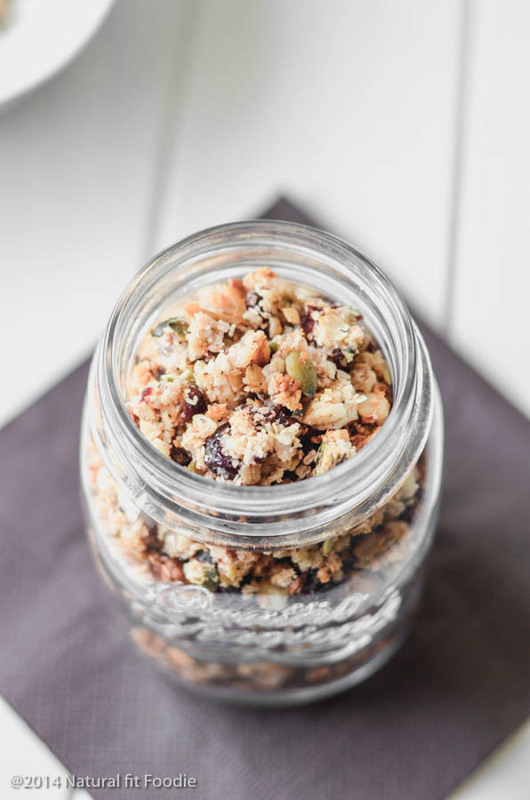 This cranberry coconut granola makes the perfect on the go breakfast or snack. Place the cashews, almonds, sunflower seeds and pumpkin seeds into a food processor and pulse until crumbly. 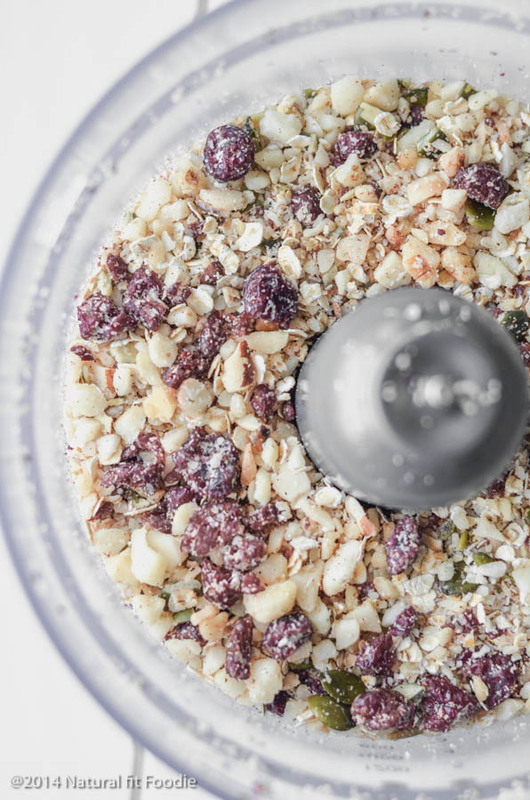 In a large bowl combine the crumbly nut & seed mixture from your food processor with all remaining ingredients. Spread the mixture out onto the baking sheet and cook for 20-25 minutes, stirring occasionally. Keep a close eye on it so it does not burn. 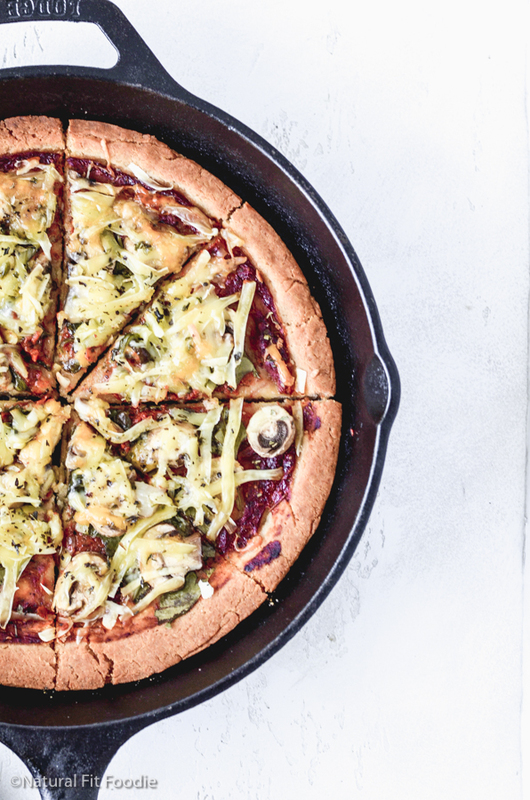 Cool for about 15 minutes, and then break into chunks. Store in an airtight container or resealable bag. Thanks Kirtz, hope you like it! The method is different to the recipe?! When do you add the cranberries? Hello Nic. Thanks for pointing it out. I’ve updated the method.